University of Seville researchers apply biomorphic silicon carbide, one of its patented materials, to the field of medical implants. A microfluidic device designed to slow the movement of specific subsets of cells has shown potential for use in characterizing the multiple types of cells found within human tumors. Biodegradable polymer nanoparticles, linked to a protein-binding nucleic acid known as an aptamer and loaded with the anticancer agent docetaxel, can target and kill prostate tumors growing in mice. Using this targeted nanoparticle to deliver docetaxel appears to reduce the toxic side effects associated with this drug. Using a combination of experimental data and simulations, researchers have identified key parameters that predict the outcome of nanoimprint lithography, a fabrication technique that offers an alternative to traditional lithography in patterning integrated circuits and other small-scale structures into polymers. These fibrous scaffolds have been imbued with features of the natural extracellular matrix, the ground substance in which cells are embedded and a vital component in the engineering of human tissues. University of Manchester researchers have shown that graphene can be fashioned into a device called a spin valve, which discriminates between mobile electrons according to their spin. Nanotechnology news generally is made by scientists and engineers tinkering with miniscule bits of matter in novel ways. But a new issue of a niche anthropology journal urges social scientists and society to jump into the nano-fray. An international team of scientists has unravelled the properties of a novel ceramic material that could help pave the way for new designs of electronic devices and applications. 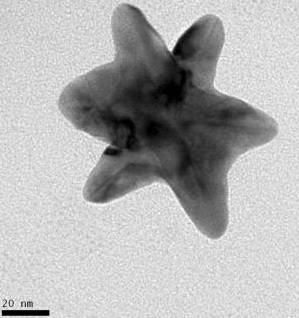 New optics research from Rice University's Laboratory for Nanophotonics suggests that tiny gold particles called nanostars could become powerful chemical sensors. Arrays of proteins attached to solid surfaces have become important tools in drug discovery and cancer diagnostics, but in general, the immobilized proteins themselves are inactivated by the processes used to create these arrays. Now, however, researchers at Northwestern University have used dip-pen nanolithography to create arrays of antibodies that retain their ability to bind to their biological substrates. The porous, sieve-like minerals known as zeolites have been used for decades in purifiers, filters and other devices. 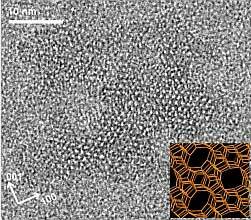 Yet creating and refining a new type of zeolite is still a matter of sophisticated trial and error: no one has been able to figure out exactly how the crystals form, even in the laboratory. This new technique is useful for separating, concentrating and analyzing proteins quickly with high sensitivity and selectivity. Researchers at the University of Toronto have created a laser that could help save the $200-billion dollar computer chip industry from a looming crisis dubbed the interconnect bottleneck. 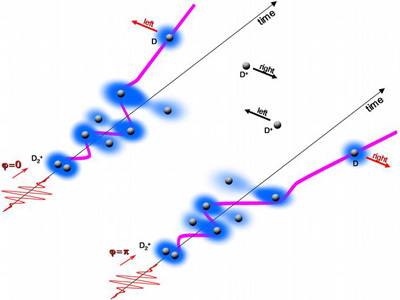 Researchers have demonstrated that the detailed shape of the electric field inside a short light pulse can be used to control the motion of electrons involved in chemical bonding and to change the outcome of a simple chemical reaction.